Today my daughter’s acrobatic gymnastics group was performing in a Remembrance Day event at the Royal Hippodrome Theatre in Eastbourne. My mum is staying with us at the moment, so we made a day of it. 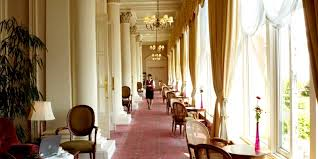 We dropped Peggy Junior (12) off for her last rehearsals and took Peggy Senior (92) for lunch at The Grand Hotel. This splendid place is the only five star hotel in any seaside resort in the UK. It’s wonderful and you can almost hear the laughter of Edwardian ladies and the giggles of flappers as you walk about. 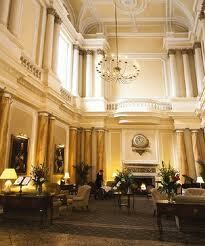 Of course, it’s a provincial hotel, so we’re not talking Claridges, but I did love it. It’s so perfectly genteel, I felt like Mrs Slocombe on a day out. 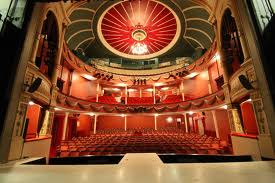 The Hippodrome is a wonderful old real Edwardian music hall and it’s a miracle its survived. 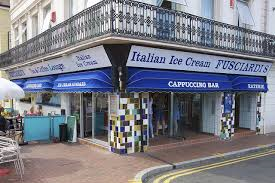 That’s what I love about Eastbourne, everywhere you go you feel as though you have stepped back in time. 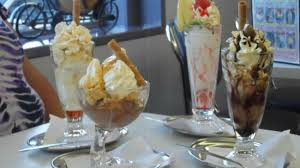 There’s an ice cream parlour on the seafront which is forever 1955. I was very proud of my little girl in the show. Maggie…You’re a *star*! Have always adored your writing….and have just discovered your fab blog! Lots to catch up on. Loving it. Ciao, Robyn P.S. Love the new pea coat. Eternally stylish!